One of Italy’s most beautiful natural spectacles is just 90 km from Milan. It’s called the Orrido di Bellano. A natural waterfall and gorge carved into the rocky mountainside of the pre-alps in the city of Bellano on Lake Como. It is said to be in the making for over 15 million years. 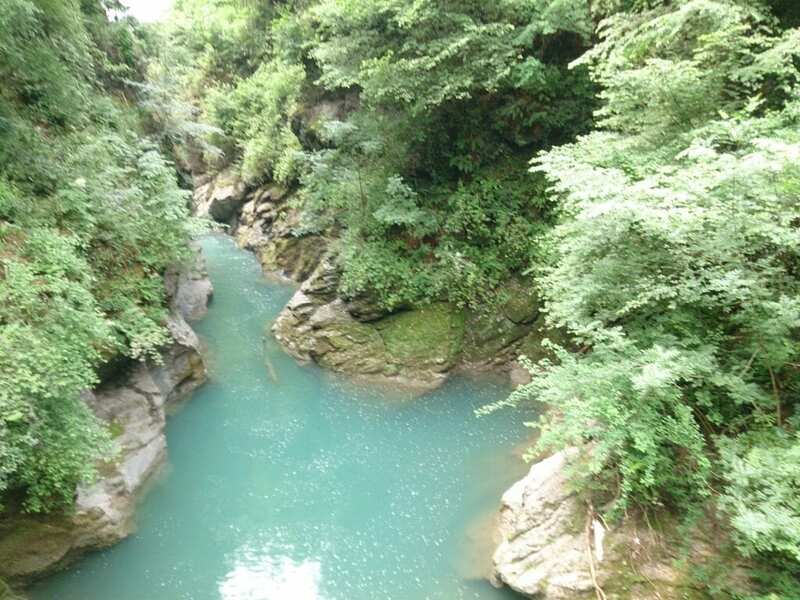 It’s a natural gorge carved by glacial waters of the Pioverna Streams. Located on the eastern shore of Lake Como in the northern town of Bellano , it’s only a 40 minute drive from Lecco. Orrido means ‘horrific’, it’s named that because of the howling echo noise the waters make in the caves. Bellanese poet Sigismondo Boldoni described it as “Orrore di un’orrenda orrendezza” “Horror of horific horridness .” The name has hence stuck. Catwalks and walkways have been built for visitors to walk inside the gorge. It is a little scary at first, but it is well built and secure. Curiosity and wonder override any initial fear and you are drawn into the cavernous corridor . As much as you would like to NOT look down, your eyes can’t help but be mesmerized by the boundless,bursting waters. At the end of the cavern path you come to a tall cascading waterfall which plunges in to a lagoon of pure,blue, calm waters. It’s the perfect place to sit and meditate recognizing with gratitude the beauty of nature. The stone entrance was build in the 1700’s. The nearby tower and house “Cà del Diavol” the “Devil’s House” aptly named for it’s frescoes depicting the devil, is believed to have been built in the 1800’s, as the earliest documented image of it is from 1840. I was awestruck by the grandeur and splendor of this natural scene and intrigued by the unusual frescos of the Cà del Diavol. The only thing I thought that took away from the experience was the entrance park which has been decorated with second-rate, ghoulish figures and mannequins; a giant witch, a vampire in a coffin and an atomic zombie. Surely, it was done for the sake of the ” Horror” theme , in the efforts to entertain children, but it GREATLY devalues the gift that the city of Bellano has been entrusted with and its natural magnificence. Orrido di Bellano like many of Italy’s hidden treasures has little publicity and attention. It is not on the UNESCO list, but it certainly is a world heritage and deserves the care and conservation to keep this little part of our planet preserved. Open: From April to September -every day from 10:00 to 13:00 and from 14:30 to 19:00. From October 1st to March 31st open days before holidays and holidays from 10:00 to 12:30 and from 14:30 to 17:00. July and August open from 20:45 to 22:00.